NRAD was among those participating in the health care career event hosted by Saint Luke’s North at their Smithville campus Wednesday, May 4. 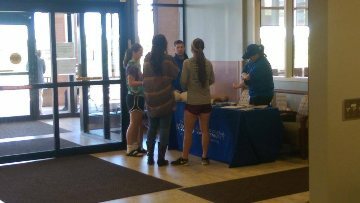 More than 130 Smithville High School students had registered to receive free high school sports physicals from Saint Luke's health care professionals. NRAD appreciated the opportunity to visit with the students who showed interest in our profession.